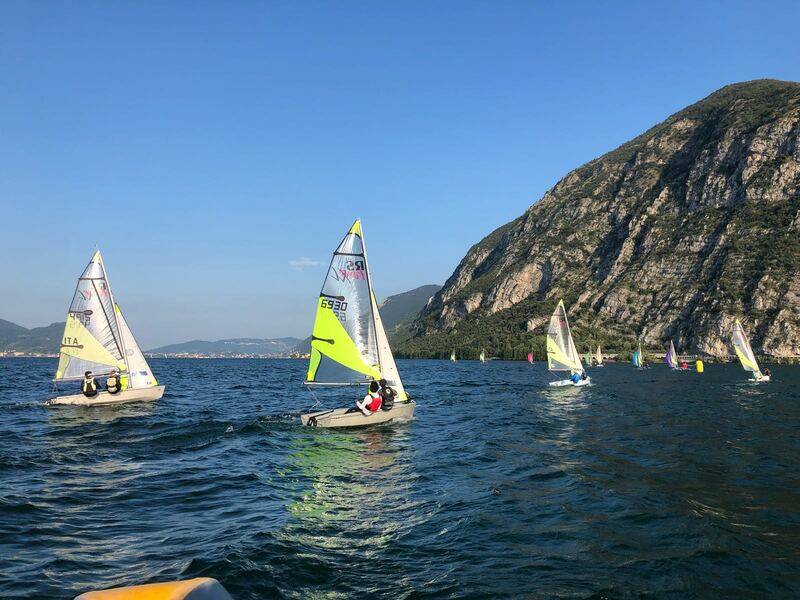 The lovely, friendly, and welcoming Associazione Nautica Sebina in Sulzano, on Lake Iseo in northern Italy (the home club of the RS dealer, Aldo Rinaldi), held its first Aero regatta on 14-15 July, in combination with RS Fevas. 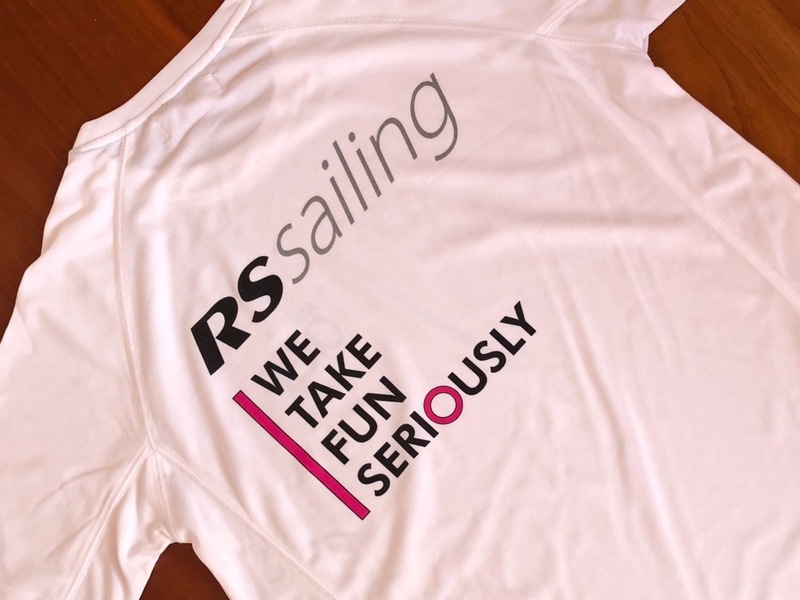 Both classes sailed the same W-L course, with staggered starts, allowing entire families to race simultaneously. 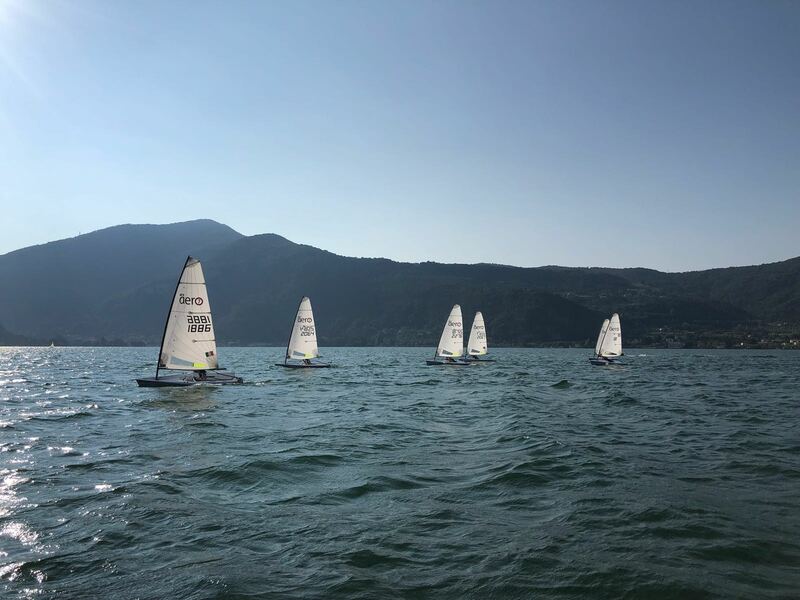 The first afternoon saw a light southerly lake breeze, with two races completed, so the next day started early to catch the typically stronger northerly coming off the mountains. 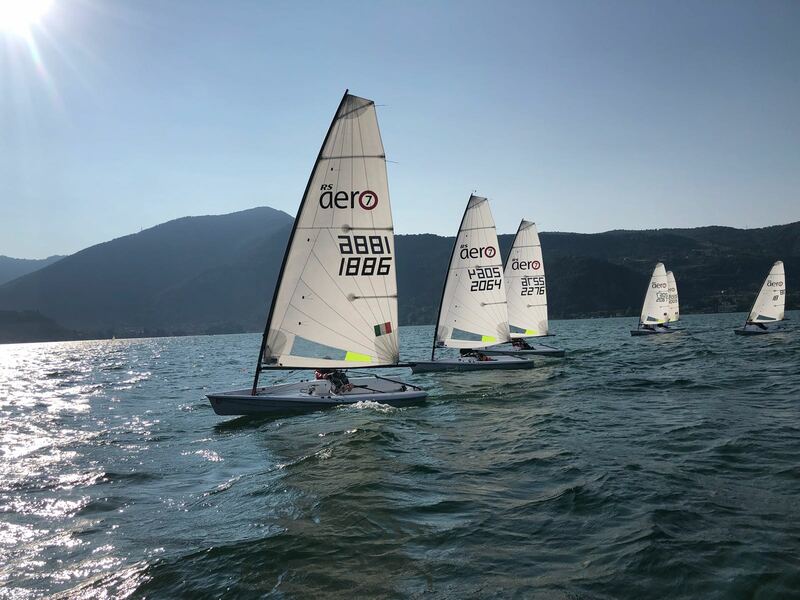 With a total of five long races, the podium included the young Filippo Gaitto of Circolo Vela Arco on Lake Garda in 1st, the local Manuel Giubellini in 2nd, and David Solnick of New York in 3rd.